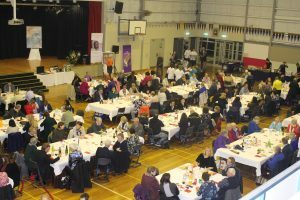 The annual MacKillop Foundation (now Mary MacKillop Today, MMT) fund-raising dinner took place at Mount St. Joseph’s Girls’ College (MSJ) in Altona recently. 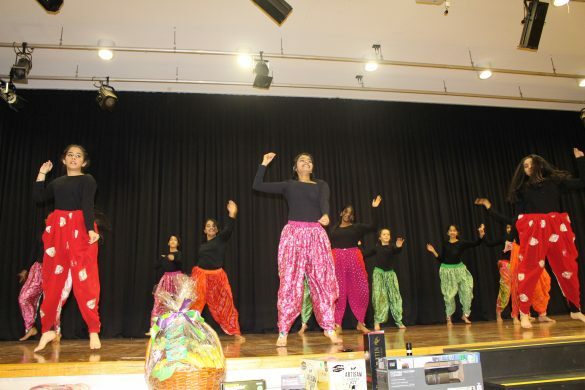 The evening was compered by Steve Mifsud, a committee member. 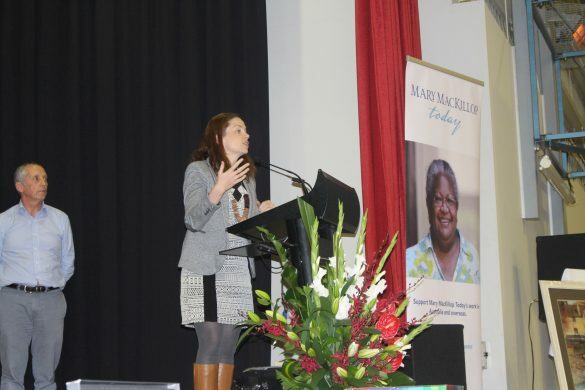 Ms Kirsty Robertson CEO, of Mary MacKillop Today and Kate Burnett, Board Member, were invited guests for the evening. 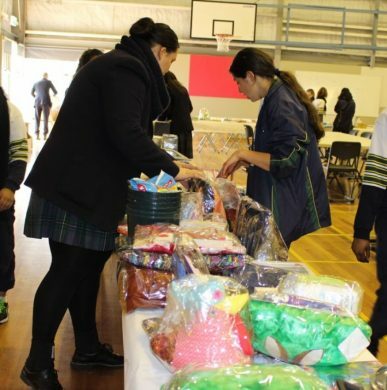 Kirsty as guest speaker explained the reason for the merger of Mary MacKillop International, Josephite Foundation, (Nil Loans) and Mary MacKillop Foundation. 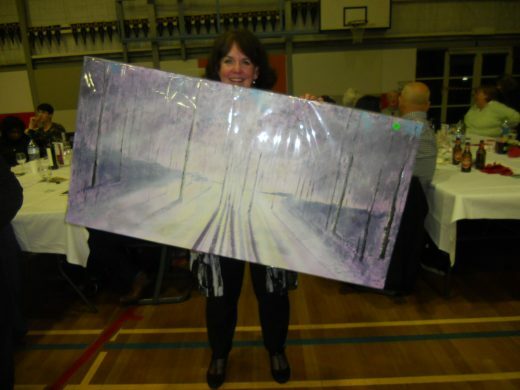 Kirsty thanked all present for their wonderful support of the evening. An overhead view of the MMT Dinner set-up. 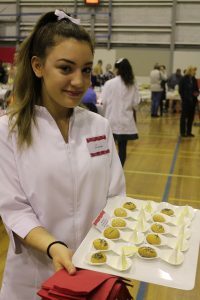 The College gymnasium was transformed into a giant restaurant for the night and white coated Food Technology students, cooks-come-waiters, offered a range of enticing entrees and delicious soups to the diners. The main course and dessert was supplied by the BBQ Man, Spit Roast. 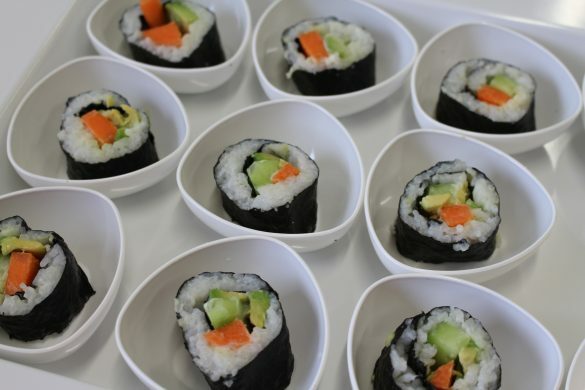 The students and their teachers are to be commended as all was beautifully prepared and presented. 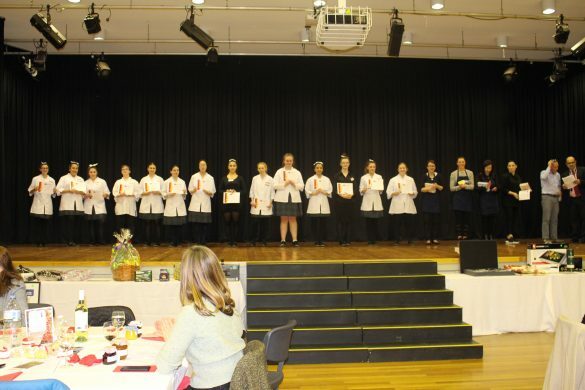 The students received certificates of recognition during the evening. 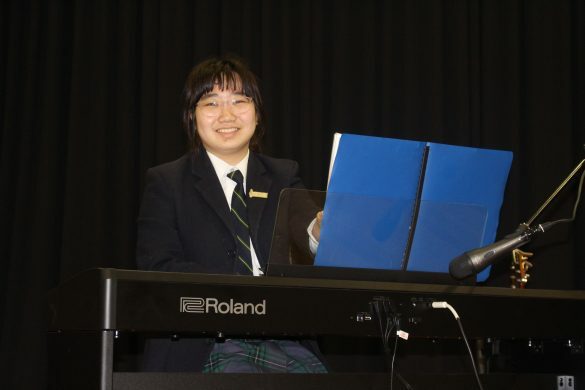 One student provided piano background music while another student entertained us with song. 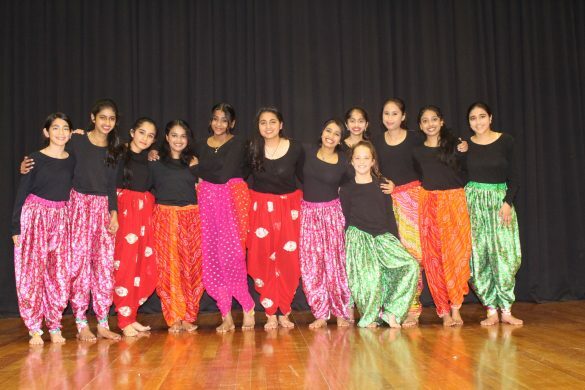 Other students provided some light entertainment with a lively and colourful Bollywood dance item. 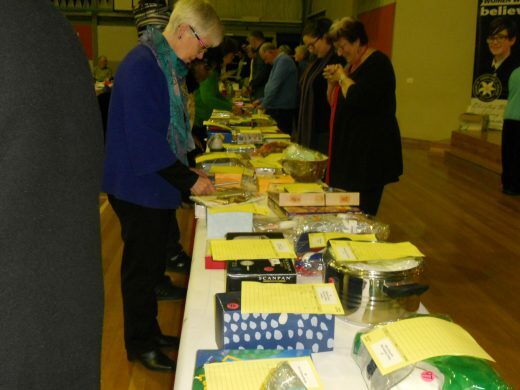 The silent auction is always a winner on the night with hundreds of donated items to bid for with the hope that you are not outbid for the particular thing you would like! 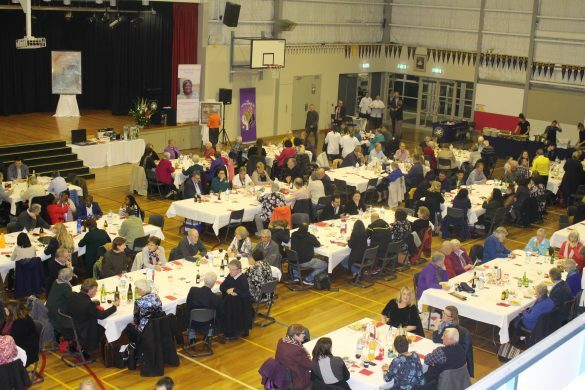 The “big ticket” auction at the end of the evening created some good natured hot bidding and outbidding as the larger items went “under the hammer” with auctioneer, Mr Chris Torr who doubled as an entertainer. 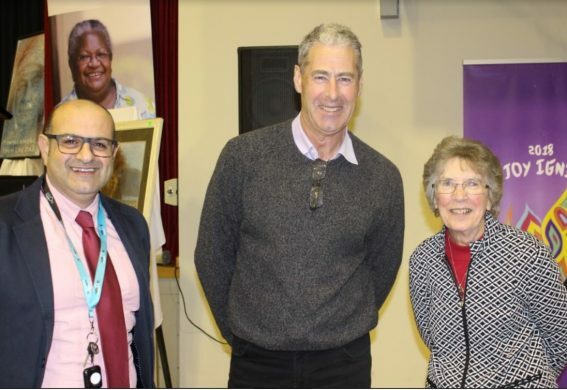 A big thank you must also go to the MSJ Principal, Kate Dishon, staff and students, to the admin staff of both the Regional Office and Mary Mackillop Heritage Centre and all who supported the evening by their generosity. Mr Ted Javernik, chairperson and committee members of MMT (Victoria) are to be commended for the organisation on the night. An enjoyable and profitable evening was had by all.